The American Fire Sprinkler Association (AFSA) is an organization dedicated to education on fire sprinkler systems and promotion of their use. As a manufacturer of fire sprinkler system equipment, Potter Roemer/Fire Pro is a proud member of the AFSA. Potter Roemer/Fire Pro is a member of the Fire Equipment Manufacturers’ Association. This organization’s industry experts are dedicated to providing education on best practices in the industry to safeguard the public. The National Fire Protection Association (NFPA) develops consensus codes and standards to increase public safety and promote best practices. Potter Roemer/Fire Pro’s products comply with NFPA standards where applicable. As a member of Morris Group International, Potter Roemer/Fire Pro is a member of the US Green Building Council (USGBC). The divisions and partnerships of Morris Group International manufacture energy and water saving plumbing products from sustainable materials for commercial, institutional, and industrial use. Products ship efficiently from factories in North America to ensure products travel a shorter distance with minimal impact on the environment. Potter Roemer/Fire Pro is a proud member of The National Association of Fire Equipment Distributors (NAFED). NAFED offers educational programs, training and resources to distributors of portable fire extinguishers and other fire protection equipment. The National Fire Sprinkler Association’s mission is “To protect lives and property from fire through the widespread acceptance of the fire sprinkler concept.”As a manufacturer of fire sprinkler system equipment, Potter Roemer/Fire Pro is a proud member of the NFSA. 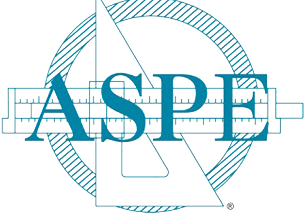 Potter Roemer/Fire Pro is a proud member of The American Society of Plumbing Engineers (ASPE). ASPE aims to improve the science of plumbing engineering to better serve the public. As a member of ASPE, Potter Roemer/Fire Pro is dedicated to providing the most cutting edge fire protection technology to protect both the public and the professionals that fight fires from their potentially devastating effects.